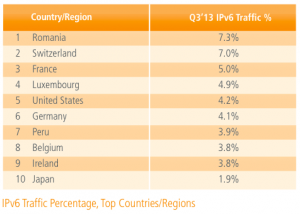 Akamai recently released the latest numbers on traffic they see coming from IPv6 networks. 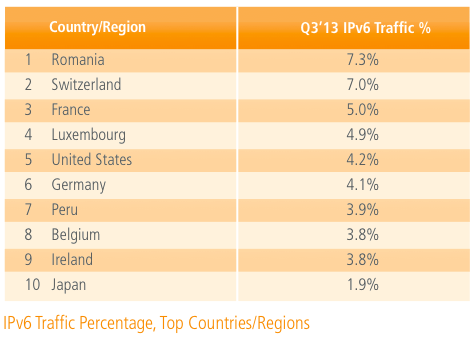 Romania and Switzerland are leading the board, which is pretty impressive. This entry was posted on Thursday, January 30th, 2014 at 5:47 pm by admin	and is filed under geo. You can follow any responses to this entry through the RSS 2.0 feed. You can leave a response, or trackback from your own site.